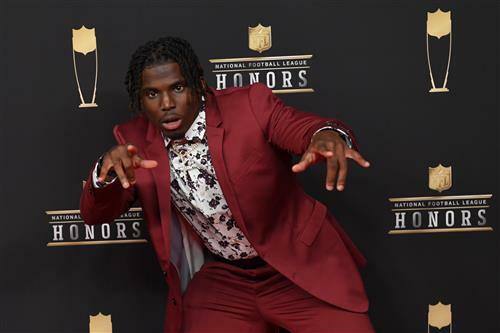 The Kansas City Chiefs knew Tyreek Hill’s history of domestic violence when they signed him. That was a controversial decision, and one that doesn’t seem to have helped him or his family. And if he did break his 3-year-old son’s arm, the team needs to break it off with him now, no matter how fast he is. Even as one of the best wide receivers in the game, this can’t be the way the Chiefs want to win, right? The team’s Super Bowl hopes cannot depend on tolerating the kind of abuse he’s been charged with before. The Star reported that the Overland Park Police Department is investigating a battery incident involving Hill. A child is listed as the victim. Hill had not been charged with a crime as of Friday afternoon. Hill’s fiancee, Crystal Espinal, is listed under “others involved.” A source familiar with the investigation told The Star that the victim is Hill’s son with Espinal, and that his arm was broken in the incident. Espinal is pregnant with twins. When she was eight weeks pregnant with their 3-year-old, he reportedly punched and choked her, and as a result was arrested and dismissed from the Oklahoma State team. He was the Big 12 Newcomer of the Year. But a police report said that Espinal, whose face was covered with cuts and bruises, told investigators that he had pinned her to the wall and thrown her to the floor like a “rag doll,” then picked her up by her hair, put her in a headlock and sat on her while he punched her in the stomach.